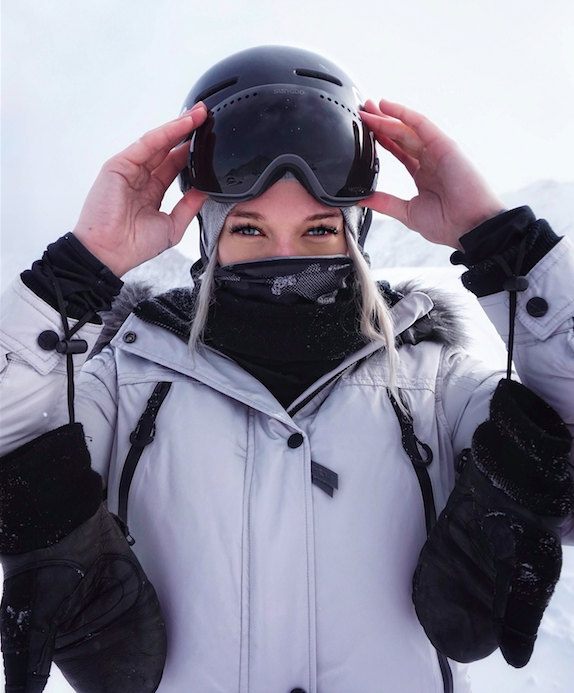 WELCOME TO PART 3 OF OUR SKI FIT AND INJURY PREVENTION TIPS FROM TEAM GB FREESTYLE SKIER ROWAN CHESHIRE – PACKING ESSENTIALS. PARTS 1 & 2 FOCUSED ON PREHAB (ROWAN’S WARM UP AND INJURY PREVENTION TIPS) AND THIS EPISODE IS ALL ABOUT WHAT YOU NEED TO BE PACKING IN YOUR HOLIDAY LUGGAGE TO HELP KEEP YOU TICKING OVER FOR THE DURATION OF YOUR TRIP. Keeping on top of niggles and those tight areas on a daily basis will help you stay on top of your game all week, season or expedition-long. Make sure you bring your rehab tools with you to so you can take care of yourself in the mountains! 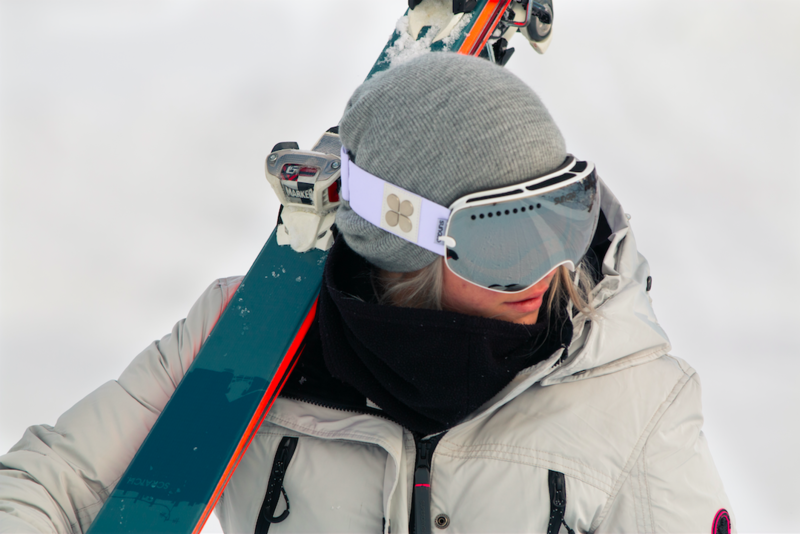 As a pro skier Rowan has suffered her fair share of injuries and as a qualified Personal Trainer, she’s pretty well equipped to advise folks how best to train and maintain those ski-specific muscles and keep fatigue and injury at bay. Thera bands are super useful pieces of equipment and great to use for workouts while you’re traveling and also for warm ups before hitting the slopes. For a warm up I’d but the band around my knees and do 10 squat walks in both directions, I’d then repeat this but with the band around my ankles. The same exercises can be done for a hotel room workout, along with kick backs and a variety of core exercises can be done using a band. Foam rollers are amazing for recovery and muscle soreness. So I’d recommend rolling your legs and back every day after long day skiing, this will really help with muscle soreness for the next day so you can make the most of your trip. I’d recommend getting a foam roller with a hollow middle, this makes it easier to pack as your can stuff some of you’re things inside it. Like the foam roller this piece of equipment is great for recovery after skiing. Though given its small size it is a lot easier to pack but a lot more painful to use. It is good to get into those really sore muscles and I’d really recommend using it to roll out your feet, you’ll thank me later! It is very important to stay hydrated while out in the mountains, as well as the exercise the altitude and sun will play a part in dehydrating quicker. So I’d recommend taking a metal water bottle out with you skiing and drink from it regularly, this will help with headaches and fatigue. It’s so easy to take protective equipment for granted and forget how dangerous the mountain and skiing can be. These pieces of equipment have saved me so many times and its definitely worth investing it them and not risk having to cut your trip short.